Boryspil Airport is a coordinated airport of the 3-rd level. For scheduled flights operation an Air Carrier must have slots for arrival and departure. Slot coordination is performed according to the approved capacity of the airport, IATA Worldwide Slot Guidelines (WSG) and Chapter 6 of the Standard Schedules Information Manual (SSIM) requirements. coordinates operation and interaction of the airport departments with the related organizations while providing ground handling services, ensuring departures regularity and flight safety, which allows immediate managerial decision making. 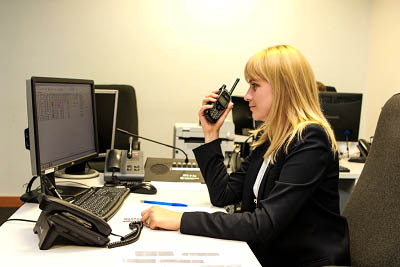 The Operations Centre specialists perform planning of aircraft stands, special equipment and ramp buses allocation for ground handling, coordination and performance supervision of the aircraft ramp handling operation schedules, coordination of check-in and passengers meeting/boarding, passing by passengers of all types of control, audio and visual flight status information for airport customers and public.